Ipswich Makerspace have had an amazing year, with an exciting future ahead. All of our success is down to the effort put in by our members. Obviously some put more effort in than others, but no matter how much effort is applied, we appreciate it and want to reward and acknowledge it. Last year we came up with the Maker Stars Chart. This was a simple chart, with a list of potential actions with a list of members names, the idea being if you did a good deed you applied a star on the chart adjacent to your name. After a year of it being on the wall, we got quite a lot of engagement with lots of starts applied. There were more people to be acknowledged and you can see the chart above, but we decided to keep it to those who were in attendance at the Christmas Party. That does not mean we do not appreciate the efforts of all those people who were not at the party or chose not to take part in the Maker Stars chart. So to everyone who has impacted the Makerspace in the past year, Thank you VERY much. There is a new chart up in the space now for the coming year. Names are not pre-populated, so please do add you name and start collecting those stars. We don’t promise anything, but who knows how we may choose to acknowledge people this year. One thing we do know though, if your name’s not on the list your not going to be selected. So don’t be shy, if you’ve done something to benefit the Makerspace, give yourself a star. Here’s to a wonderful 2019, it’s going to be exciting and we want you to be part of it. The Coder Dojo organisation have a large number of resources available online, Until recently their resources were generally community derived and came in the form of two page PDF’s which could be printed out double sided and laminated ready to be used at Coder Dojo’s. These were (still currently) stored at https://kata.coderdojo.com/wiki/Home_Page. These bite size sheets were called Sushi cards. The Coder Dojo organisation now comes under the umbrella of the Raspberry Pi Foundation (RPF), so along with Code Club (also owned by RPF) and Raspberry Jams there are massive amounts of learning material in various forms and formats. The Raspberry Pi Foundation have been working for some time to bring all these resources together on their Projects site, this is work in progress but well progressed now. This site has pulled together in a consistent format, learning resources from Coder Dojo, Code Club, Raspberry Pi. This is brilliant work and needs commending, however the resources are formatted for online web viewing and whilst they can be printed this is not ideal since they do not make best use of the paper and quite often use ten or more sheets of paper, in addition, some interactive elements will be missing. Whilst the Makerspace would love to provide a library of hard copy learning resource, this takes time to prepare and may not cover the content your are interested in. Also with the migration of many of the available materials a to web based format, printing this out is becoming increasingly difficult. Therefore if possible we feel it would be advantageous and more productive for Dojo attendees to bring a laptop or tablet completer with them, to allow the viewing of online resources whilst working on their projects. If this is not possible, please do not let this put you off from attending, we will find a method of allowing you to view the online resources or find some suitable hard copy resource for you to use. At time of writing (September 2018) we have the following hard copy resources available for use at our Coder Dojo’s. These are held at the Makerspace and will be available for any of our Coder Dojo attendees whilst at the space. All of these resources are available as a free download from the Raspberry Pi website, so if you want to continue to work on your project away from the Makerspace this should not be a problem. Whilst the Ipswich Makerspace make heavy use of Raspberry Pi’s, it is not necessary to code on one, although the Operating System and included software make them very compelling. It is also possible to code on a laptop, Python and Scratch are both available as downloads for Windows, Mac and Linux computers, many of the resources listed above can also be used directly on a laptop. If you really want to you can even download and install the Raspbian Operating System onto a USB stick so you can run Raspbian on your laptop, if this is something you would like to do, was can talk you through the process. We want to enable young people to learn to code, we don’t want to impose any restrictions so if you would rather use a laptop than a Raspberry Pi this is fine, however we are unable to provide laptops for use at our Coder Dojo sessions so you will have to provide your own. If you need help installing any software we will be happy to provide guidance. Raspberry Pi MagPi magazine and books. Today we held out first Coder Dojo, we had nine Ninjas (kids) sign up and eight showed up, so a great start. We had themed our first Dojo on the Raspberry Pi, so before every one arrived we setup a Raspberry Pi for each Ninja. Once settled in and after a quick ice breaker we discovered we had a number of skill levels present. Some had never used a Raspberry Pi before, whilst others had used them quite a lot. The Ninjas all chose something to work on, we had people who had bought their own project to work on, these included robots, breadboard hardware projects, Minecraft projects etc. 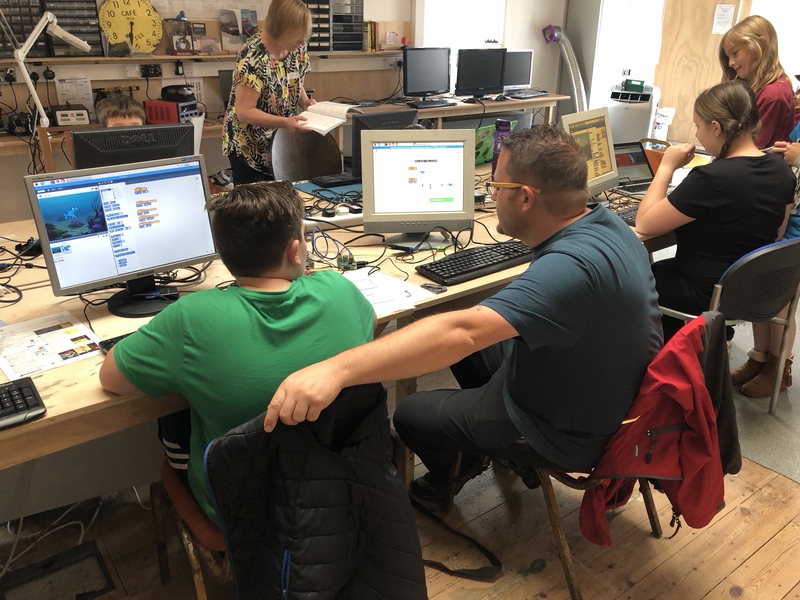 Whilst others decided to learn how to wire up and programme LED’s as traffic lights, code an adventure game in Python or programme games in Scratch. All in all, everyone had a great time and it was a shame to have to tell everyone to pack up once the time came to finish up. I would very much like to thank my co-champions Tim and Sue and also Phil and Andy who did a great mentoring job on the day. So will there be another Coder Dojo, I’m pretty sure there will be, today was the second Sunday of the month, so it will be nice to run one every second Sunday of the month. I’m currently confirming details with the rest of the team but hope to post details of future Dojos very soon. We are hosting a Coder Dojo on Sunday 9th September. This is a place for 7 to 17 year old children to learn to code. Our first session will be based loosely on the Raspberry Pi. We will be providing everything you need, however you may want to bring the following if you wish. Your own Raspberry Pi, we will have ones to use, but they are small, so if you prefer your own, then bring it. Your Raspberry Pi SD card, again, we will be providing SD cards for you to use, but if you have a project you want to work on, then by all means, bring your own. If you want to do any Sonic Pi work, then please bring headphones, with a 3.5mm jack plug. Coder Dojo’s are largely self taught sessions with mentors to help, so if you have an idea what what you want to learn or improve then bring along your ideas and let us know. You will not be taught something you don’t want to do. If you are new to coding or Raspberry Pi’s then we will have a selection of resources to get you going. If you want to attend, it is essential you sign up on the Coder Dojo website. This event is free to attend, but we do need you to sign up here. Thank you. 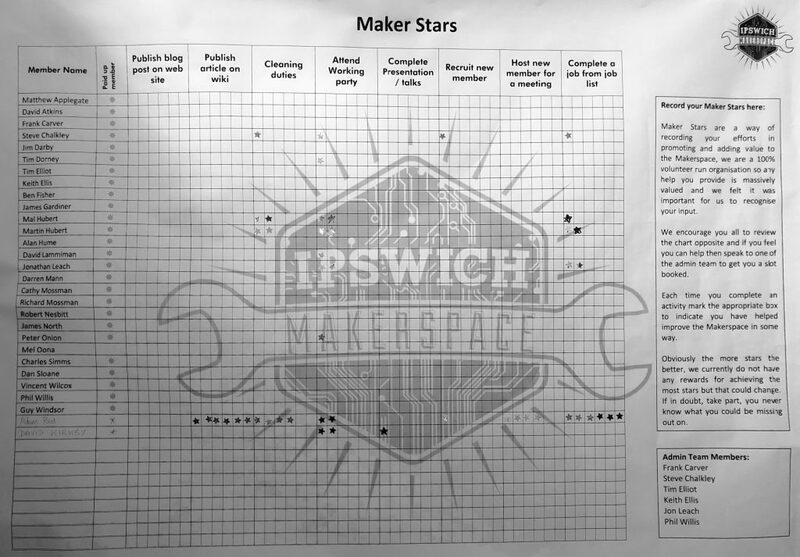 For location details please refer to the Ipswich Makerspace event page here.